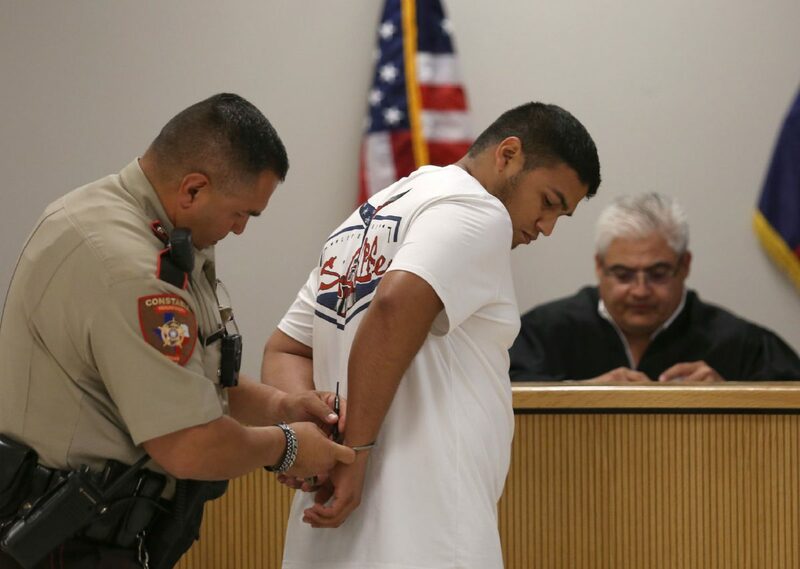 Jose Antonio Vela is removed from handcuffs to sign documents in Justice of the Peace Jaime Muñoz' courtroom for charges of false statements on a voter application Wednesday, May 23, 2018, in Pharr. EDINBURG — Two people recently accused of illegally voting in last November’s municipal election spoke out Wednesday amid news the investigation could result in more arrests. The Texas Attorney General’s’ Office, which is investigating allegations of voter fraud that have already yielded four arrests, issued a press release Wednesday that warned it was looking into an “organized scheme” in Edinburg possibly involving more individuals. The announcement came just a day after Edinburg Mayor Richard Molina published a video accusing nearly a dozen of his opponents of illegally voting in recent and past elections and questioning the motives behind the investigation. Rudy Zamorano, who had strong words for the mayor on a social media post, was one of the voters Molina listed in his video. The mayor alleged that Zamorano and his family voted in several elections that encompass the Edinburg area but live in Alamo. “What he perceives to be fraud, in his eyes, is a personal opinion and not a fact and should not be handled as public information to his constituents,” Zamorano said in a statement late Tuesday. While he did not directly address the allegations against him, he accused Molina of being implicated in the investigation. “This individual is pulling all strings to deflect from his own voter fraud investigation,” Zamorano said. Investigators have not named anyone as as a target as the investigation continues and have not released any other details since four arrests were made last week. Molina’s name, however, has been dragged into the conversation because of his perceived connections to two of the voters arrested last week by the Texas Rangers, who are also assisting in the investigation. One voter registered to vote using the address of an apartment complex the mayor owns, and the other was registered to vote by Molina himself. Molina, however, said it was difficult for him to report the alleged crimes to Hidalgo County District Attorney Ricardo Rodriguez. Zamorano is Rodriguez’s cousin, Molina said Wednesday, adding he believes the DA knows that his cousin lives in Alamo. Molina questioned whether Rodriguez’ familial ties to the people the mayor accused affected the DA’s judgement. In his video, Molina accused three of Rodriguez’s aunts of having people registered under their roofs who don’t really live there. Rodriguez, however, has strongly defended his office and the integrity of the investigation and the agencies leading it: the AG’s office and the Texas Rangers. 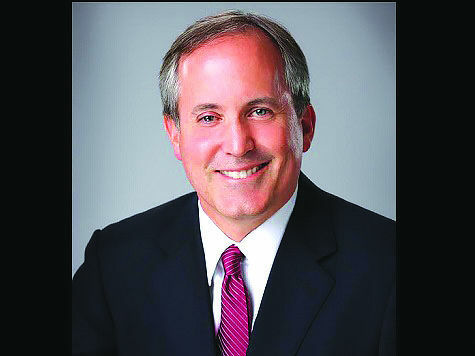 Molina disputed the notion that the Texas Secretary of State’s Office had not received complaints until Tuesday. Roland Villarreal, a former city council candidate whose wife was also accused of voting illegally, also spoke out Wednesday — just days after telling The Monitor he was glad his name had been kept out of the conversation. 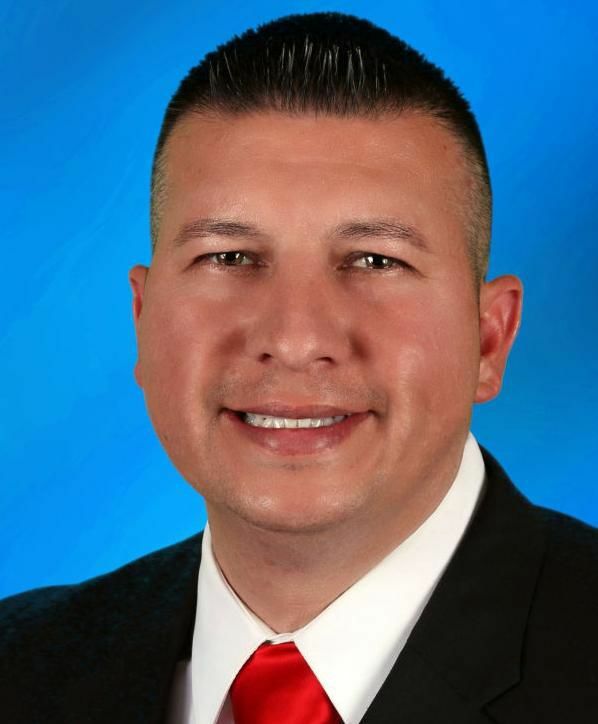 Molina alleged that Roland Villarreal’s wife, Ashley Villarreal, is registered to vote in Edinburg using the address of a business in a commercial plaza in the city, which is not allowed under the Texas Election Code. “Unfortunately, I do not have much to say other than I ran a positive, clean campaign in the 2017 city elections, and unfortunately I was not victorious in my efforts,” Villarreal said via text Wednesday. The former Edinburg candidate, who ran in last year’s election against Edinburg council member Gilbert Enriquez, did not address the allegations against his wife, but instead thanked his family and friends for the support. “All else, my family and I will leave (it in) God’s hands, as we did during the campaign, and as we have done since it ended,” Villareal wrote.